NRL Victoria are pleased to announce an MOU has been signed with The Grange P-12 College who become NRL Victoria's fourth school Rugby League Academy. 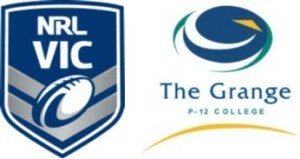 The Grange P-12 College who are based in Hoppers Crossing in the West of Melbourne, have a Rugby League stream of their Sports Science Academy for both males and females. The students involved in the Academy recieve specialised training programs which include both skills sessions and strength and conditioning sessions. Additionally, students recieve Rugby Legaue related skills delivered through the Careers in Sport Elective. "We are excited to partner with The Grange and to now have 4 schools in Melbourne who have a Rugby League academy is great for our local Rugby League community. To have The Grange include both males and females in their Academy is also another benefit and will help grow the female game in Victoria." "It is great to add another school to the growing female space. 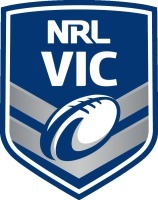 There will also be opportunities for local NRL Victoria clubs in the west of Melbourne to engage with the school as well which will hopefully benefit the NRL Victoria female competitions." The Grange P-12 College are currently taking enrollments for the 2019 school year.